I've put this blooming tulip finishing set together so all you have to do is glue in your kumihimo cords. 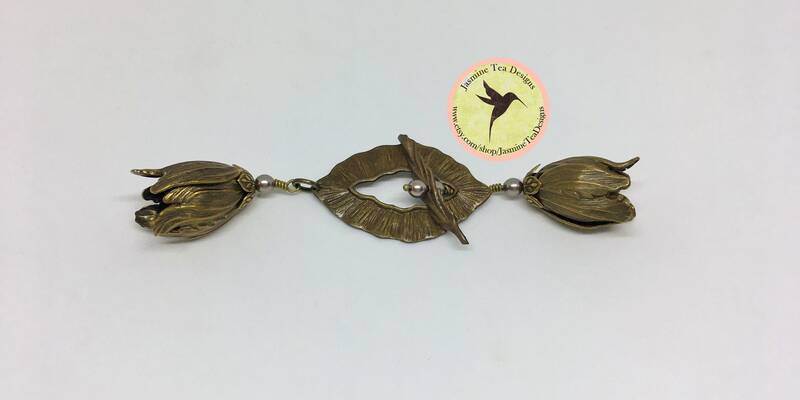 Blooming tulip end caps feature a vintage patina finish in antique brass and measure 20x17mm. This listing is for a complete set of findings accented with glass pearls. Connected the set measures 4 inches.